What happens when I come home to find uneaten goat cheese on the counter? Well, usually I question where it came from… especially if I’m the first one home. 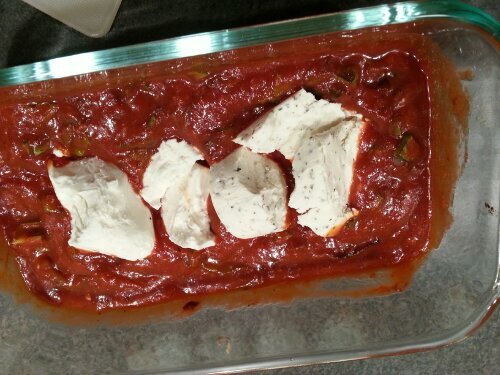 It would be very disconcerting if phantom goat cheese began appearing in my kitchen. 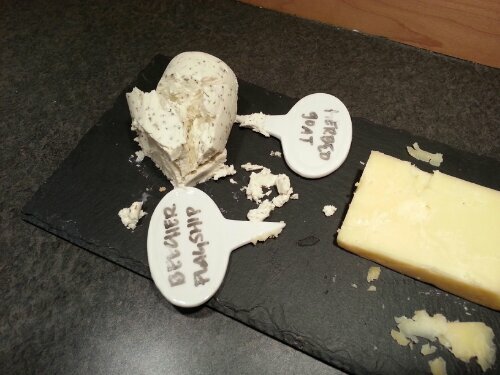 If the origins of said cheese check out, my next step is to find a tasty way to ingest it. Because it’s delicious. Why take something that’s so delicious and make it part of a recipe? Because it makes it more delicious. Obviously. It’s like you don’t pay attention. 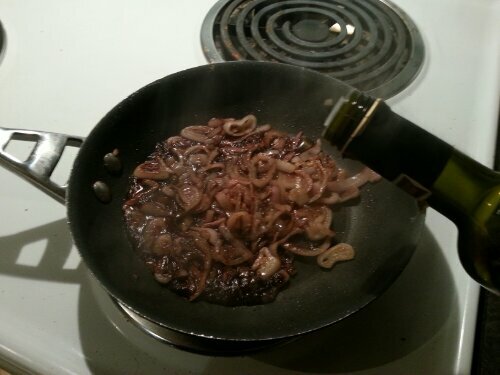 Begin by slicing and caramelizing the shallots in olive oil and two tablespoons of balsamic vinegar. 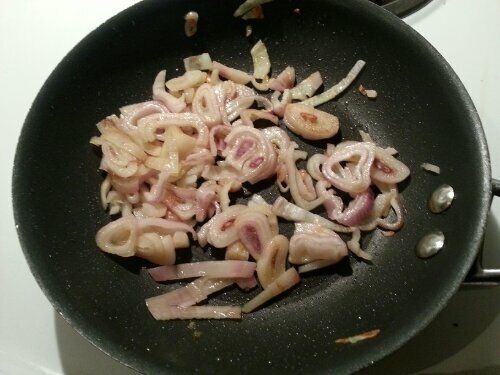 Cook them slow and low, and allow any excess liquid to absorb into the onions and/or form a nice, effervescent reduction. 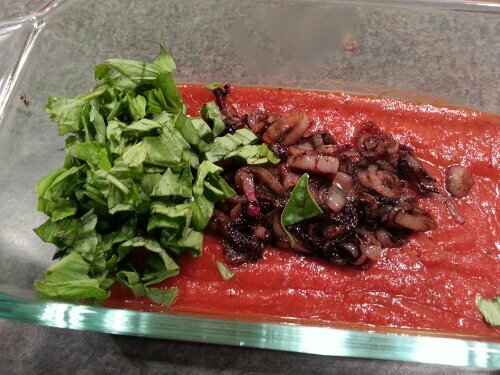 The shallots and basil then get added to the tomato sauce, which is best done in the baking pan. Mix all of that goodness together, and place the goat cheese in the center. Bake at 350 degrees for 20 to 30 minutes, or until the cheese has sunken into the sauce and has a smooth, partially-melted texture. 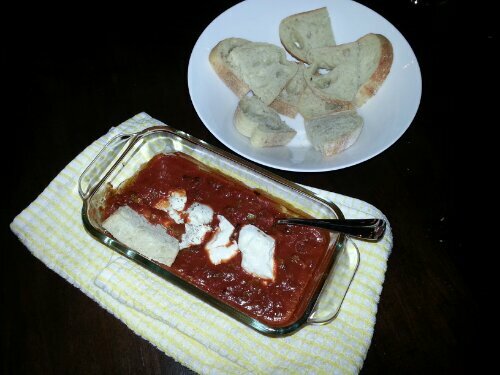 Serve by smearing spoonfuls onto slices of bread (toasted or untoasted: it’s good either way) straight from the pan.